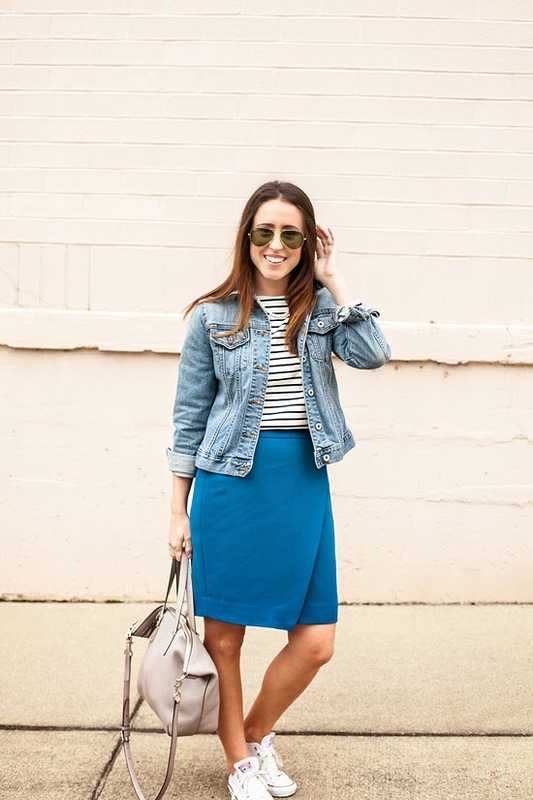 I loved this skirt so much for work (outfit here), that I couldn't help but wear it for the weekend too! 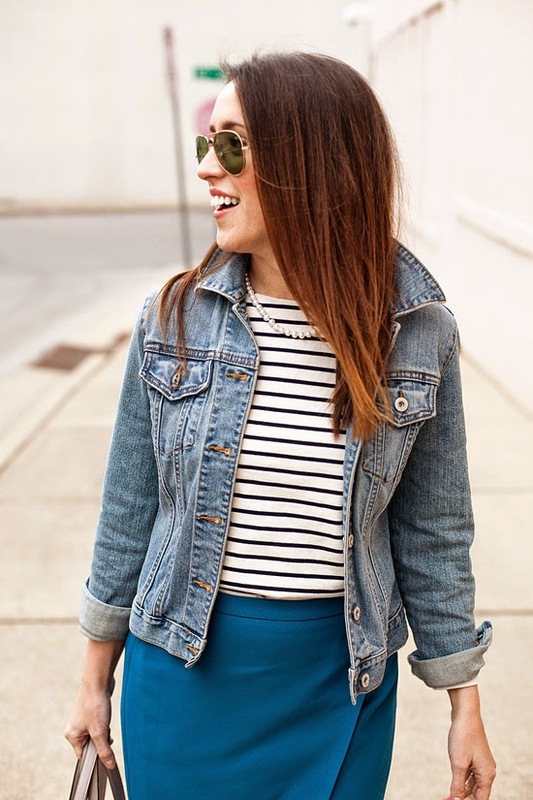 Officially adding this skirt to my list of FAVORITES - along with this most perfect striped shirt (seriously, this is stripe perfection), lived in denim jacket, & classic chucks. 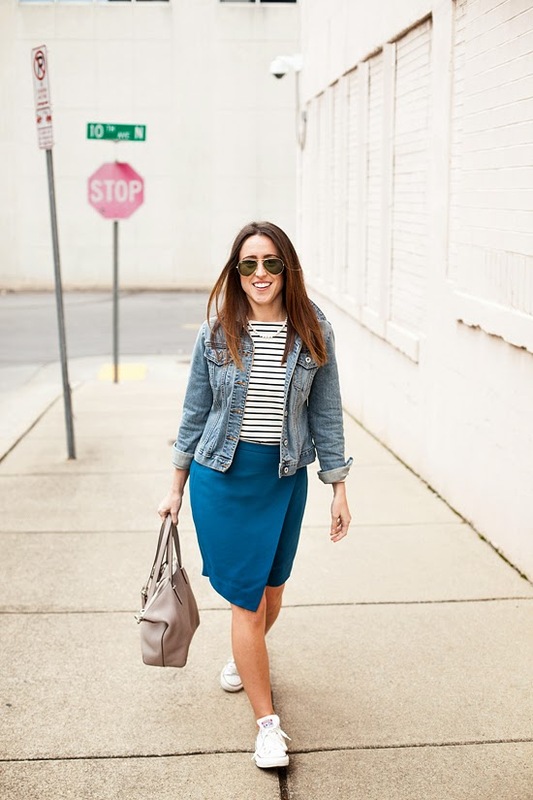 What have you been transitioning from work wear to weekend wear? Great laid-back outfit! I like your sneakers and jeans jacket very much. Love it paired with the Converse! Perfect! While I tend to wear the same things - work, weekend, or whatever - I'm definitely starting to transition into warmer dressing! i like this casual pairing! the jacket and shoes are fab! You look adorable! I'm a sucker for sneakers with a skirt. This is so cute. 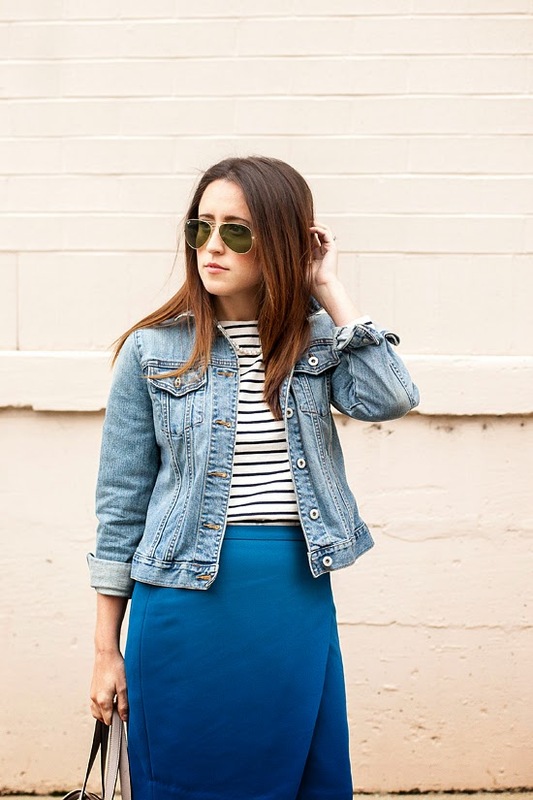 I love the jean jacket with the wrap skirt. 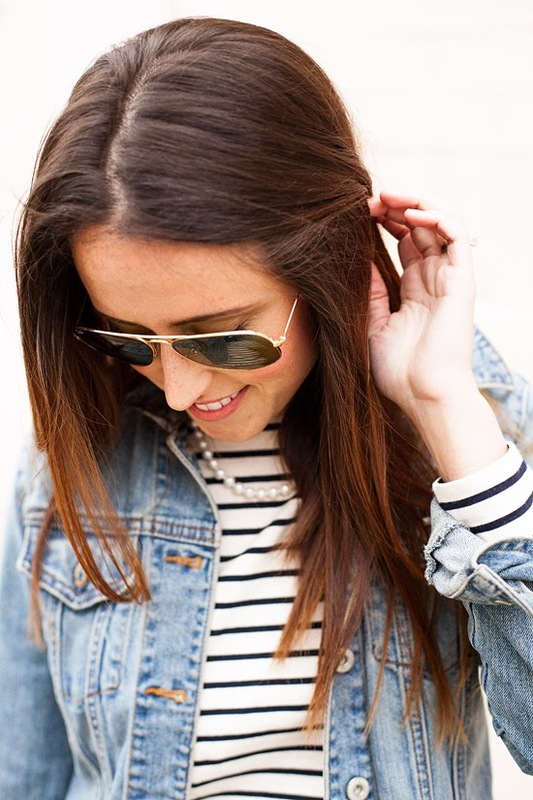 Great, classy weekend look. I like this casual outfit!